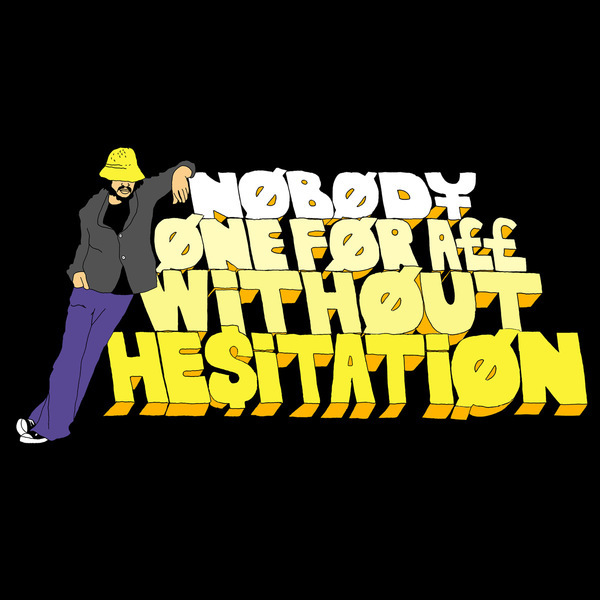 Dropping on his self-curated Nobody's Home Productions imprint, Elvin Estela gives a sunny shot of hiphop/folk love with 'One For All Without Hesitation'. It's his first solo release in nearly two years and finds him caught between the two prongs of summery, beats-driven hiphop/R'n'B and strange, autotuned psyche-folk songs with lots of character. There's seven vocal tracks, each masking Elvin's vox in robotic autotune which may not be to everybody's taste, but sure makes for a interesting collision of styles on tracks such as 'Coming Down' and the dramatic '90 Degrees', while the rest of the album comprises his typically stylish instrumentals laden with crisp drums and melodies blending psyched pastoral bliss with R'n'B and soul values. The second part features the vocal juice, with 'Face To The Sun' running a lovely folk song with dubbed and autotuned vox which serve to stress the vocal emotions in a compelling, almost jarring way that's going to take some getting used to. Meanwhile 'Sleep For Daze' sounds like something that would happen in a Gaslamp Killer mix, with hanging halfstep drums chopped with spiky guitar and that emotionally overdriven vocal hitting square between the eyes. 'Hey Love On Our Own' sounds like some warped saturday morning pop hallucination and 'Psycho Alpha Theta' sounds like the Lil' Jon produced by Bibio. Original business - get checking.